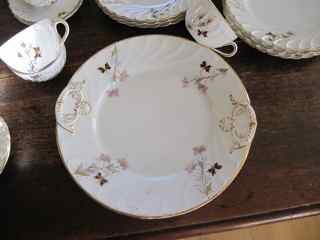 Can you help me identify the maker and date for my antique tea set? 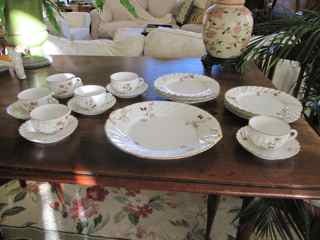 I purchased this antique French tea set from a lady in Scotland about 20 years ago, when I lived there. She told me it was French and the set dated from pre-1900. The saucers are the type without an indentation for the cup. 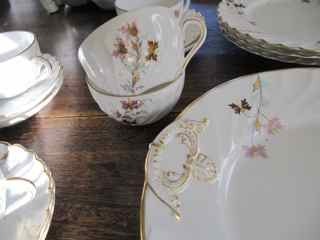 The porcelain or china is highly translucent. 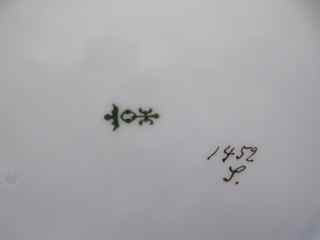 Does anyone know or can provide any help identifying the markings on my antique French tea set?